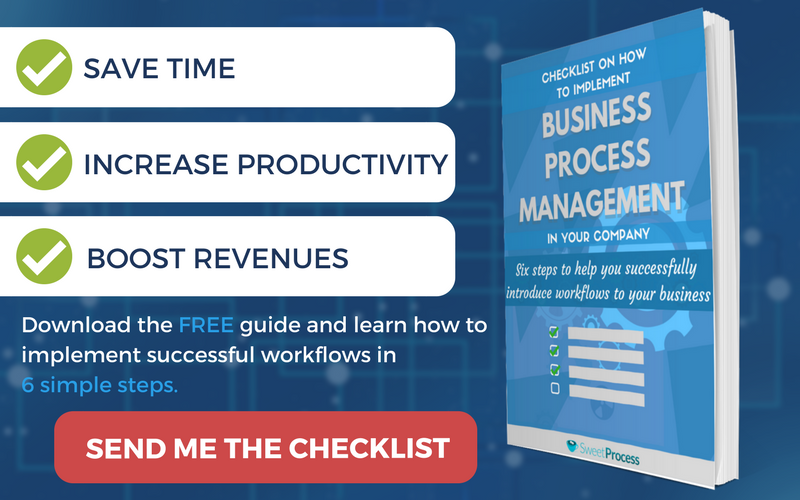 Free Bonus Content: Get Your Free Checklist on How to Implement Business Process Management in Your Company! Click Here To Download It. It’s that time of the day to grab your favorite burger and talk business process management (BPM). Yeah, I know, it’s not exactly a subject you talk about every day, but let’s roll with it. Wait! Before you take your first bite, did you know BPM is what keeps your favorite burger selling and tasting great every single time over the years? And to imagine that these “burger brands” have changed personnel and even owners just get you thinking about how you can replicate such epic BPM in your company. 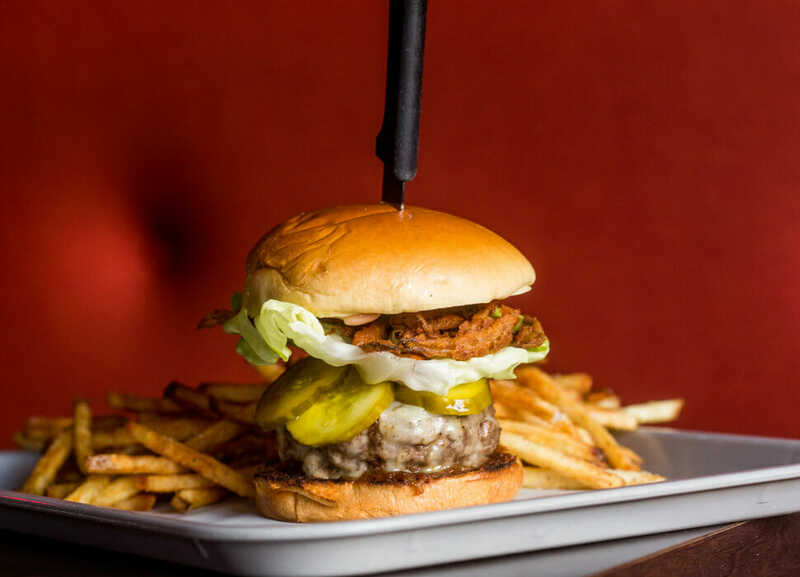 A more interesting fact is that the best burger outlet in America has been in business since 1949 (more on that later but for now, take your first bite). That’s 68 years and still selling! Okay, we get it. You’re not into the burger business and you may not even like burgers, but you want to keep your company running. In fact, you want the company to grow, expand and become a great brand, right? Then business process management is the top secret! BPM is about managing and improving your company’s processes so that successes are repeatable and mistakes are avoided completely. That’s exactly what this guide will help you implement in your company. So hold on tight to your burger (for now) as we take you through the what, whatnot, how, and so what of business process management. You’ll find everything you need to know about BPM and how to get it done in your company—and more. Now take another bite of that burger or whatever tastes like heaven to you and take a look at all that’s included in this ultimate guide to BPM. Chapter 1: What is Business Process Management? 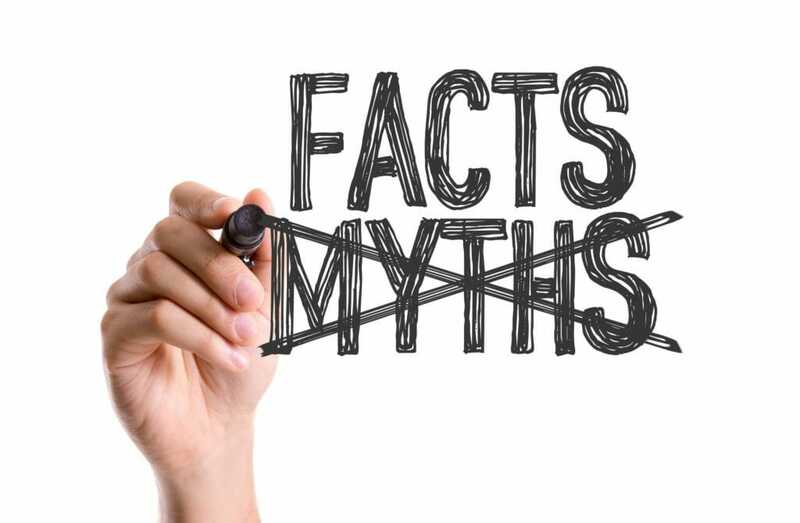 Chapter 2: Debunking Business Process Management Myths. Chapter 3: What is Business Process Management Life Cycle? Chapter 4: What is a Business Process Workflow? Chapter 5: Business Process Management Implementation. Chapter 6: What Should I Look for in a Business Process Management Software? Chapter 7: Business Process Terminology Index… 16 Essential Terms Explained. as defined by the folks at CIO.com. For instance, Carphone Warehouse, a UK-based, customer-driven company in the telecom and e-commerce industry, wanted to deliver a consistent and satisfactory experience to all their customers, regardless of how the latter was acquired. To achieve this, they needed to get every customer representative to learn everything and keep up-to-date with the fast-changing catalogs of offers and products and promotions. As you might have guessed, they couldn’t bet their burger on that. So they implemented a system. The system involved specific key players, which included all the employees who already interacted with customers on the front end. These were the people who knew the issues customers faced and dealt with them on a daily basis. Their input helped provide clarity on strategic direction. Next, according to the case study, their game plan was to obtain the already existing knowledge from different contributors and model a process to align the company’s resources. The final outcome was that they were able to retain new customers as well as make more up-sells and cross-sells. That’s essentially what business process management is: to manage and improve your company’s processes so that successes are repeatable and mistakes are avoided completely. Aha! We had to repeat that so you don’t forget. Now take another bite and watch this video for more insight. Thereafter, continue on to Chapter 2 to find out what BPM is not (and perhaps if your favorite burger is the best there is). From what we learned about BPM in the first chapter, you may not be wrong to assume that’s all there is to it. But you may also be mistaken just like many who often misinterpret the concept. After all, even your favorite burger may not be the best there is, especially because you’re not Kevin, the burger critic who went on a year-long burger quest through 30 cities. Applying this helps you break down your most complicated processes into manageable bits. Now that you know BPM is neither complex nor difficult to practice, you would then agree it is necessary for every business irrespective of size. For instance, big companies need to practice it for effective communication, process performance, standards and industry competitiveness. Small and medium-sized companies, on the other hand, require BPM for a quality product or service delivery for growth. So no matter the size of your company, you need to practice BPM so you don’t miss opportunities for consistent successes and avoidable losses. Moreover, good BPM practices in small companies mean better BPM practices as they become bigger companies. True, there was once a time when BPM automation meant you had to deal with loads of tech jargon and even break the bank to implement. BPM automation tools have become quite simple and interactive; they allow you to easily manage simple and complex processes for your company. And now you can either purchase them in a suite, (more on that in Chapter 6) separately or opt for the entire suite on a number of users basis. That way, you only have to pay for what you need, depending on the size of your company. BPM does not require you to completely overhaul how business is done in your company; rather, it involves getting the best out of your existing processes. In fact, only in rare cases do you have to change how you carry out a particular business process. And this can be an overlooked business process that needs to be followed or a completely flawed process that requires a different approach. Overall, BPM does not require halting business processes for an overhaul; instead, it fits into the day-to-day running of your company because it is not an event but a practice. There’s no denying the value of skilled and hardworking employees, but even they can’t help it if your business processes are flat out wrong. This is because employees are prone to mistakes, especially when processes are not well-documented. Lack of BPM practice also puts your business at the mercy of your employees, and should any of them leave, that role or aspect of your business may become dysfunctional. As such, BPM requires you to document your business processes so you can gain insight into every facet of your business. This also helps you eliminate errors and ensure repeatable success when you do hire new employees. After all, BPM is a continuous practice of a lifecycle of connected processes. 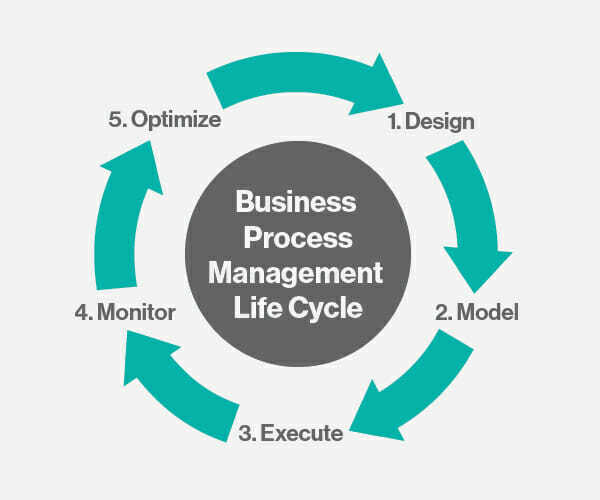 The business process management lifecycle features five connected stages. Keep in mind you should follow them religiously, no matter what company or where in the world you are. 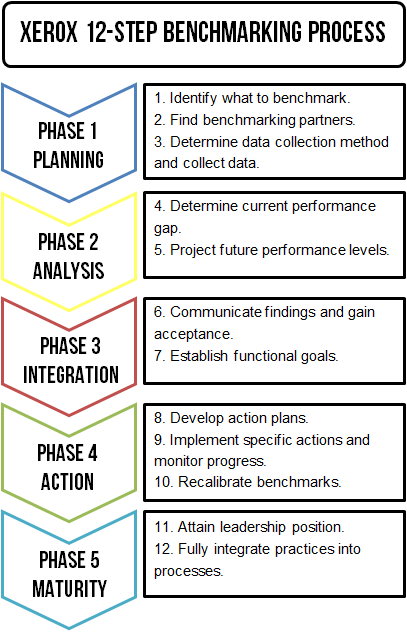 The five stages are design, modeling, execution, monitoring, and optimization. Now let’s double down on the details. Every process in your business is important until you discover otherwise. That’s why in the design stage of BPM practice, you identify all existing business processes in the order they occur, including dependencies. You can call this business process mapping. Sales team receives orders → sends order details to store → products are processed and packaged for shipping → products are shipped to customers. Mechanisms for task delegation, etc. Following these steps will give you a good picture of your business processes, and you can easily test to see if it is efficient or not, theoretically. 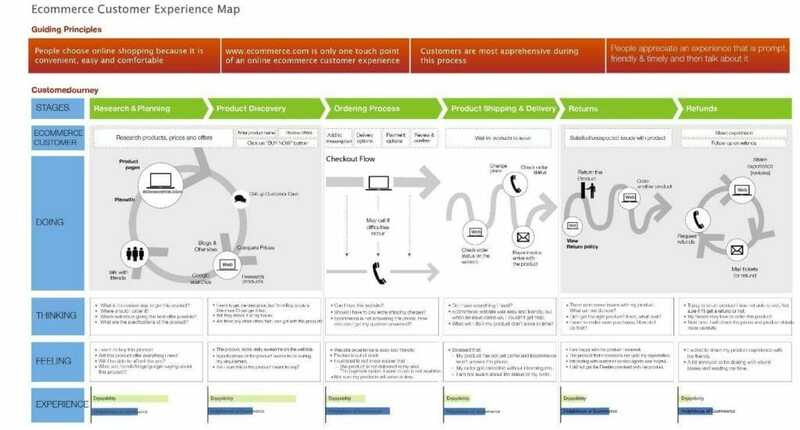 Here’s an example of a customer experience process design for a typical e-commerce business like Carphone from our case study in Chapter 1. As you’ll see in the image above, though the design is still theoretical and from the customer’s point of view, it outlines every proposed action taken by the customer. This same model can be followed to design the in-house process for those in charge of handling customers. You see why we said BPM involves everyone in your company? After coming up with a good business process design, you may want to test it for efficiency. This is the point when you model. Business process modeling is the act of taking a theoretical business process design and analyzing or improving it. You are able to see how the processes might operate under different circumstances, and you’re likely to find that they don’t remain the same in different circumstances, just like Kevin found burgers don’t taste same across different cities in America. This is called a what-if analysis. Your goal here is to see what becomes of each business process when circumstances change. Carrying out this process helps you map out a more efficient business process design so you can understand and make positive changes. The diagram above shows not only the customer’s ordering process but also how the in-house team is involved at every stage. In sum, whichever modeling technique you choose, being able to clearly model your business process design signals you’re ready to execute. That must have been the thought on Kevin’s mind when he got the board’s approval to go on the year-long burger quest he had probably spent weeks planning for. But he knew he had only one right choice to make: Execute! So it is with your business process model in hand. Your next course of action is to execute it. There are two primary options: to implement manually in your daily business activities or to automate. Manual implementation involves passing down the new process guidelines to the different departments and employees to follow through, especially if you have a small team. A manager can be assigned to keep track of all the activities for each business process. However, when more employees are involved, you may want to consider automation using a Business Process Management Suite (BPMS). This takes you straight into the fourth stage of the BPM lifecycle: monitoring. Whether your BPM execution is manual or automated, you’ll have to monitor activities and progress as you go on. This makes execution and monitoring go hand-in-hand as they’re both dependent on each other. Because once the process model is being executed, certain metrics have to be monitored to ensure the exercise is effective. And just so you’re aware, everyone implementing BPM should know metrics to monitor, and this is largely dependent on the goals of your business and your reasons for implementing BPM. Monitoring helps you measure and analyze the performance of your processes so you can identify critical problems through the data you get. This way, you’ll be able to improve the speed, quality, and efficiency of your processes. These areas were identified because the purpose of implementing BPM was to improve the customer experience. Indeed, how you monitor matters. It goes beyond just observation but aligning every data with measurable figures or key performance indicators. So if for example, you’re looking to increase customer retention rate from 5 to 25 percent for instance, and your plan is to ensure the welcome message each customer receives from your customer representatives is consistent, you can monitor the lifetime value per customer over a number of months. Then you can proceed to optimize the entire process. After monitoring the metrics and the numbers look awesome, what do you do? Well, you optimize your processes. 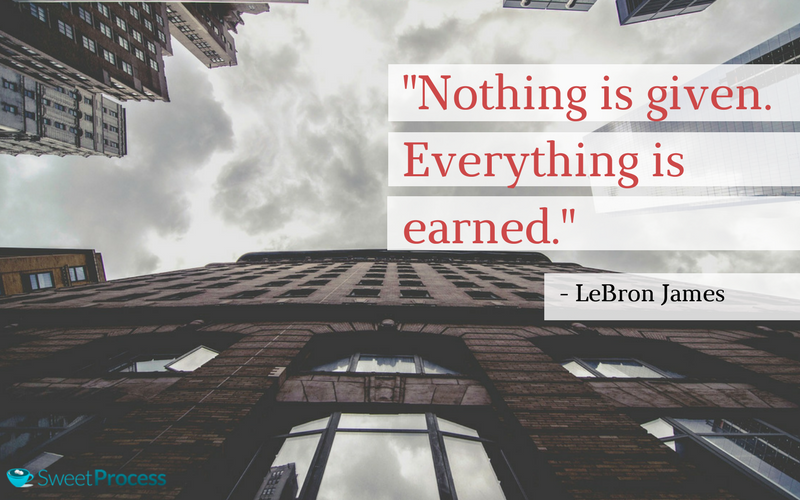 At this point, you’re trying to make sure success is repeatable. However, if the numbers don’t look so great, what do you do? You optimize your processes. This time you’re going to be making sure that mistakes are avoided. To effectively optimize your company’s processes, you need to collate all performance information across all stages of the BPM lifecycle. This involves putting together data on what worked and what didn’t work, from the design to the model to monitoring. The big picture here is to ensure that mistakes are avoided and successes are repeated so as to minimize cost and maximize efficiency. Irrespective of what the numbers look like, do not be tempted to influence the whole process design. Rather, focus on those key areas that need modification while leaving everything else to run as is. The result of the optimization is typically the modification of the present standard operating procedures for a more efficient workflow. In sum, the BPM lifecycle from design, model, execute, monitoring, and to optimization is to ensure a seamless workflow in your company so that mistakes are avoided and successes are repeatable. And without a good knowledge of workflows, your BPM practice is dead on arrival. A successful implementation of BPM is often based on the workflow and not just optimizing processes. It’s the same way you get a free meal promo at a bar after eating there for a month back to back. If you don’t eat there for up to a month, you don’t qualify. Period! Workflow is also that simple. It’s about making processes work together concurrently, or in sequence, or both for increased time saving and productivity in your company. In other words, if task B depends on task A, task B can only begin when task A is complete. And if tasks C and D have to run together after tasks A and B are complete, workflows make it possible for all that to occur seamlessly. Of course, workflows can be automated, but like the entire BPM practice, they must work in practice as well as be monitored and optimized before they can be automated. Let’s see workflow in action with regards to our case study on customer service for e-commerce. 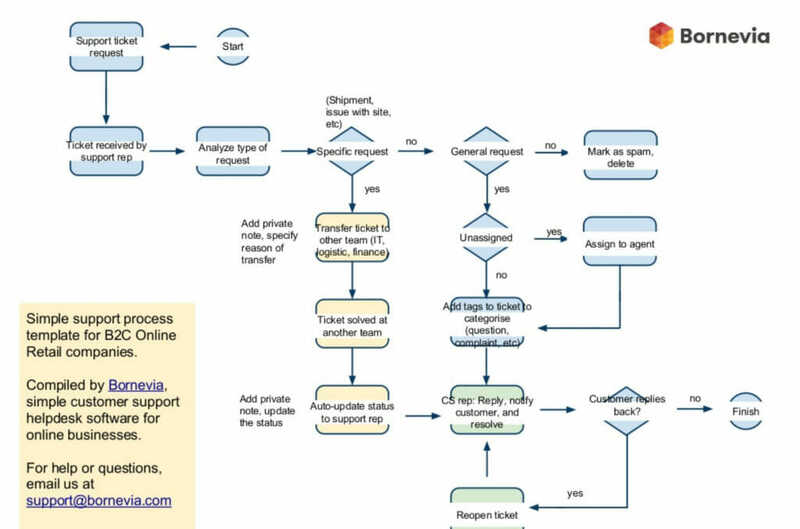 The image shows the workflow of an e-commerce business that wants to improve customer experience and deliver customer support in a consistent way across the board. It indicates how each process occurs sequentially or concurrently. When such workflow design is implemented in practice, then you can automate. How then does workflow relate to the entire BPM practice? Well, the latter typically involves a set of workflows for all your company’s processes. It requires a bird’s eye view of them all. For instance, the workflow in our case study could represent customer service delivery when a support ticket is submitted, but there needs to be another workflow to represent delivery of goods when an order is made. So whether you’re implementing BPM manually or via automation, you have to have the workflows of all your company’s processes knit together. The good news is most BPM automation suites have integrated workflow software. We’ll get to BPM tech in Chapter 6. For now, let’s go in-depth into implementation. Depending on your goals and company size, each player (although they may go by different names) has a unique role in the overall BPM implementation process. This process typically involves the following steps that fit into one or more stages of the BPM lifecycle. Make a list of every process in your company, whether you’re a service or product based business. For instance, a detailed recipe is an example of a process list, which when followed to the letter, produces great tasting food every time. Essentially, you’re interested in answering questions like: What does our company do? How do we render our services or make our products? How do we market our product and services? How do we sell our products and services? You want to make sure to include all your company’s processes on the list. Consider it your company’s business process algorithm. The next part involves your optimizing your processes to fit within your business strategy. Listing out your business processes not only gives you a bird’s eye view of your business, but it also shows you exactly the direction your business is going. You can then tell if your company is doing what it set out to do. In short, you want to ensure that all your business processes are actually steps toward meeting your company’s short- and long-term goals. If your business strategy is to offer customers great products and a seamless order placement process, your business process list should include processes that put this strategy to work. 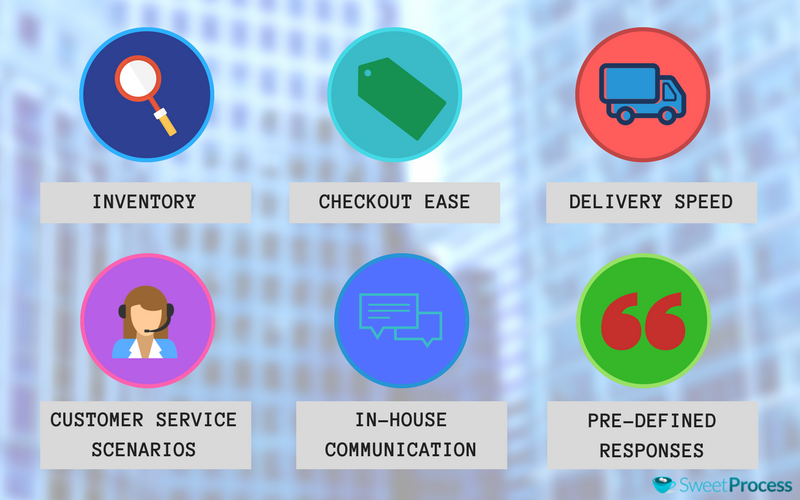 From the process of stocking and listing quality products to processes for a hassle-free order placement and delivery, your list should reflect these. That is how you determine which processes are relevant or outright unnecessary to your business strategy. In case some of your processes appear off the mark, you need to eliminate them or refine them to suit your business strategy. Doing step 1 correctly helps you discover your company’s best and worst processes in terms of alignment with your business strategy. Therefore, the next step is to assess your processes. What sort of results does your company have to show for them? What are your clients or customers saying? You have to collect as much data as possible to be able to judge a particular process accurately. Use existing evidence for your assessment. Picture it this way: If your client acquisition process last month landed your company more deals than ever, then your process assessment should reflect changes in your company’s processes that contributed to that result. How does this new process fit into your company’s bigger picture of achieving expected outcomes and goals? If this new process is ethical and in line with your business strategy, you may have found your winning formula. Next, modeling is what you do after an assessment of your processes. Business process modeling involves capturing a clear picture of the different details of your company’s processes (“as-is”) and how each department of the company interact with one another. The primary objective is to have a blueprint of the way things are done so you can potentially define what should be done in the future. It also crumbles complex processes to bits so you can pick out process inefficiencies in day-to-day operations. 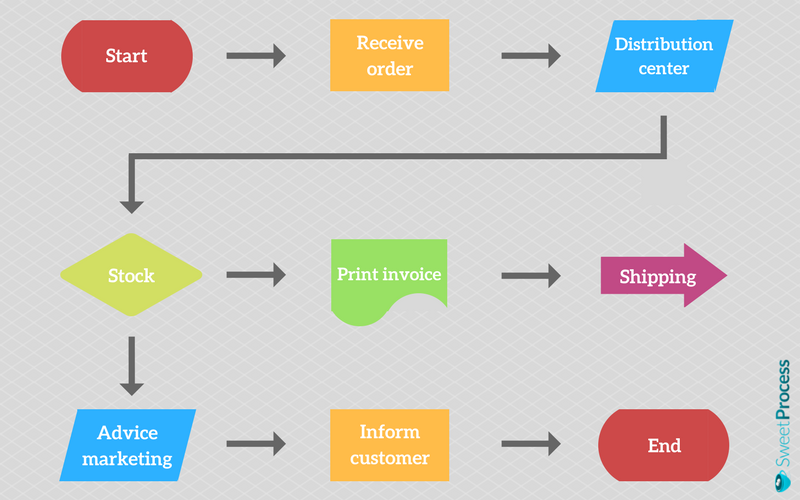 Here’s an example of a simple business process model for an order process. This model represents a typical as-is for order taking. You need to measure your processes so you can rate them for effectiveness and efficiency in helping your company achieve its goals. It’s not enough to model; you need to create metrics and have measurable details to gather data while your processes are being executed. What does improvement mean to you? When would you say that your process is improved? Use consistent vocabulary. For example, one day could mean 24 hours, a business day or an 8-hour work day. If you say a task was accomplished in one day, what does that mean? Use one method of data collection across the organization. Don’t mix spreadsheets with text documents. Have standardized figures. For example, should figures have two decimals places or none? Decide on a primary metric that defines the goal of your process improvement. For example, a soap factory may choose the number of soap bars produced per hour. Connect your primary metric to a business metric. For example, a faster production in soap bars yields increased profits or reduced fixed costs. Use consequential metrics. This measures what must not change and should be collected during, before and after the project. For example, a retail store looking to increase delivery speed should not see an increase in damaged goods due to rough handling. So the number of damaged goods is the consequential metric here. Measure the time it takes to complete the process. Measure the costs associated with completing that process. Measure the quality of the process by gathering customer satisfaction data. Measure the output of your process. For example; quantity of goods delivered or products made within a given period. This should align with customer demand. Measure the complexity of your process. Try to eliminate the frequency of changing hands or supervision. Whatever you do, your process measurement should be able to showcase performance trends, make you see how operations align or not with strategy, expose problems, and encourage improvements. It should also be able to help you predict outcomes, determine priorities and inspire commitment. Most importantly, your process measurement should lead you to be able to benchmark your processes. How does your company’s performance measure up within your industry? In the mid-1990s, Xerox Corp had to analyze and benchmark its performance to improve its competitiveness in the industry. We’ll see exactly how they did it below. However, take note that after measuring your processes, you may want to analyze the results and benchmark internally, competitively or functionally. Internal benchmarking: The process of comparing one operation within your organization to another. This is the easiest to implement. Competitive benchmarking: The process of comparing an operation within your organization with that of competitors. This is the most difficult to implement due to the external factor. 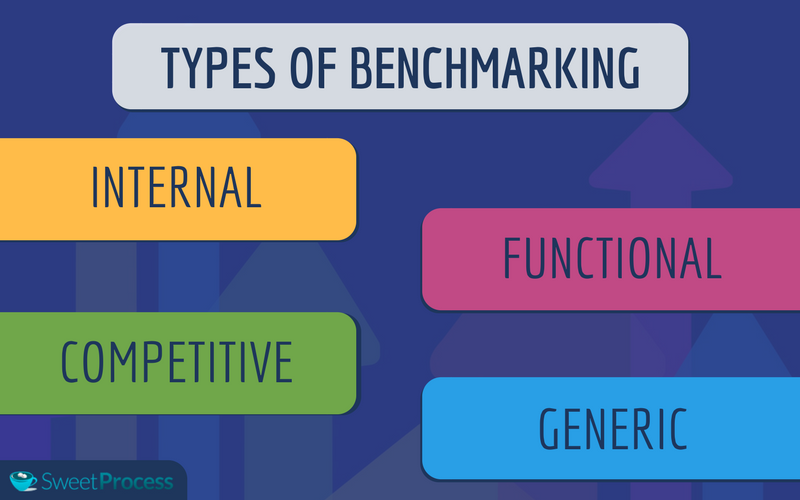 Functional benchmarking: The process of comparing an operation with similar ones in your industry. This is easy to research. Generic benchmarking: The process of comparing operations from unrelated industries. This is relatively easy to implement and encourages innovation. Whichever model you choose, benchmarking often follows a list of steps. Here’s a representation of the steps as used by Xerox Corp during their benchmarking process. Benchmarking, if done right, will certainly flag processes that need improvement, even if your company is the industry leader. Your processes will always need to get better, and process improvement is the only way out. Process improvement is the act of identifying, analyzing and improving upon existing business processes in order to optimize them and ensure consistency in standards of quality. Identifying the processes you want to improve. Based on your benchmarking, which processes do you need to improve? Spot them in your business process model. Trace disconnections in your business processes. Where exactly is the problem coming from? Is it the process that is a faulty or poor employee/organizational performance? Answering these questions will help you modify your business processes for improvement. However, modifying business processes may stir up some cultural resistance within your company. It is to be expected as cultural shifts are among the most important changes companies must learn to navigate. This presentation can help you manage the changes that will arise in your company upon making the needed process improvements. Going through the entire BPM process manually can be daunting, right? Not to worry, you can automate. Automation is the last step in your BPM implementation. From process modeling to data gathering for effective decision making, BPM technology can help you optimize your BPM practice. Unless you run a “burger eating company” where the tasting is always better manually (emphasis on always), you’re going to need to automate your BPM at some point. What else can BPM automation do for you? Firstly, with automation, you get to implement decisions directly in the process application being used. Examples of such decisions include field-level validations, routing decisions, and some static services. Many BPM solutions often come with decision management engines to make this possible. You can even use the if-then-else rules to instruct the application to implement a series of rules from a vocabulary and implement decisions easily. For a more in-depth view on how to use decision management to influence your processes during implementation, this SlideShare presentation by James Taylor gives a detailed breakdown. Once deployed, start with a smaller project with a manageable process. Involve all your stakeholders, which include business users, IT department and end users. There must be a continuous collaboration between the end users and the IT department during deployment. Choose a BPM tool based on what your business needs and your processes. Elect a supervisor whose sole responsibility is to manage the implementation process and solve common problems. Simplify a large implementation into smaller steps by establishing milestones. Ensure a deliverable is made available promptly, such as ROI of the implementation. Encourage collaboration between team members as well as between management and staff. Employ the expertise of consultants where necessary. Track progress of your implementation procedures and measure results using metrics you’ve already set. Great advice! Thanks to Miguel, you now have the “how” to help you accelerate BPM adoption throughout the business and sustain its use over many years. In case you still don’t get the complete picture of BPM implementation yet, here’s a video to help you see that it’s all about people, processes, and technology. Trying to fix your most complex process first or everything at once. Instead, start with an important process. Going overboard with process performance metrics. The best route would be to establish a simple ROI metric for your initiative that is meaningful to your business. Waiting for complete consensus on the new process before getting something up and running. Modeling is pointless if it’s not implemented. Not making room for multiple iterations. Not everything works 100 percent the first time. Focusing solely on technology, instead of considering the needs of your business to compare offerings and choose the best. Remember that BPM doesn’t start with the tech you use. Configuring the software too early, even before the business process is studied. Worse decision ever! Neglecting the end user in your implementation stages. Your design must improve their experience with the service. Providing no training for those involved. Trying to automate everything. Automating a failed process is a big mistake. Don’t try to get it all right the first time. That’s why there are iterations. Increased consistency of task completion/improved productivity. Reduced time required to onboard new employees. While these are just examples, the bottom line is your company should be able to identify meaningful metrics to assess the entire process. When this is done, then it is time to choose the BPM technology to deploy. BPM is about designing, modeling, executing, monitoring and optimizing business processes for efficiency and effectiveness. There are six steps to follow while implementing BPM. But all these aspects can get really messy when trying to implement them manually. That is why BPM suites exist. A BPM suite refers to enterprise solutions created to help businesses automate their end-to-end business processes. Simply put, it is a collection of software solutions that work together to help you model, execute, monitor and optimize your business processes. The process engine is a software platform that helps you represent distinct processes in your organization for the purpose of analysis and improvements. Using it can help you reduce process cycle time, increase process execution speed, reduce costs or even increase quality. For instance, the process engine can help a team perform faster and achieve goals consistently by sending out reminders of the completion status and due date of specific tasks. Of course, it also does way more than that. For one, you can be sure to manage your workflow as well as a model of your business rules when you’re at the modeling and execution stages of your BPM process. Gathering all that data from workflow and business processes means that you have the capability to analyze it to make informed business decisions. The business analytics feature enables managers to identify business issues, trends, and opportunities with reports and dashboards so they can react accordingly. It is often used in the monitoring stage and influences optimization and design. When you execute BPM, you want to make sure to keep all business electronic documents — everything from reports, documents, images and other file types. One good reason is that you don’t want vital business information to be lost in the transition process. The content management feature of a BPM suite takes care of all that by providing a system for storing and securing electronic files of all kinds. Closely linked to the process engine are the collaboration tools available within a BPM suite. They eliminate Intra- and interdepartmental communication barriers through discussion forums, dynamic workspaces, and message boards. The flexibility of the process engine: Will the BPM suite allow you change processes quickly as often as your business objectives and operational environment changes? Intelligence: Does the process engine come with inbuilt, flexible and powerful business rules capabilities? Scalability: Is the BPM suite able to cater to your organizational needs as you grow? Will it still perform at optimum capacity at an enterprise level? ROI: Put simply, will the BPM suite rapidly deliver ROI to justify the investment? Just so that you fully understand the different terms involved when identifying the right tech to use for your business, in the next chapter we’ll guide you through what some of these common terms really mean. 1) Adaptive: This refers to a framework that enables processes to be adapted as they are run in production based on dynamically changing conditions. 2) Business Process Design: Refers to the sequential process of defining a logical representation around how the business expects its processes to behave, based on a set of defined business requirements. 3) Business Process Design Software: A program that automates and expedites the design of business processes by managers and analysts. 4) Business Process Modeling Software (BPMS): It describes a software tool that automates and expedites the creation of business process diagrams by operations managers and business analysts. 5) Business Process Management Tools: Used for automating, measuring and optimizing business processes, BPM tools leverage workflow and collaboration to provide you meaningful metrics. 6) Cloud deployment: This refers to the rendering of the BPM suite as a service over the cloud. This form of BPM suite deployment is increasingly becoming popular with organizations seeking fast time-to-solution with low infrastructure costs. 7) Horizontal solutions: These refer to solutions that can be deployed across industries. 8) Intelligent Business Process Management Suites (IBPMS) or Intelligent BPM: This refers to BPM suites that include intelligent features, such as adaptive analytics, mobility, social collaboration, ad-hoc processes, and cloud deployment. 9) Mobile deployment: This is the operation of a BPM suite via mobile devices. 10) On-premises: This describes the deployment of a BPM suite on the premises. 11) Predictive: This is a unique feature of a BPM suite that enables predicting the outcome of processes by extrapolating analytics in real time. 12) Process Management Tools: They allow the operations manager (or anyone in charge of organizing processes or activities) to secure the resources needed to execute and measure the outcome of the organization’s activities/processes in order to provide rewards or corrective feedback and to improve the processes when necessary. 13) Process Modeling: Refers to the process of designing, developing, and testing a process diagram. 14) Process Modeling Tools: Managers or business analysts use these software tools to create business process diagrams. 15) Social feature: This involves the capability of the BPM suite to enable social interactions, such as posting questions and answers, comments, process wall, etc. Are you tired of seeing flashes of business successes in your company (or even your team)? Would you rather want to see a lot more consistency? 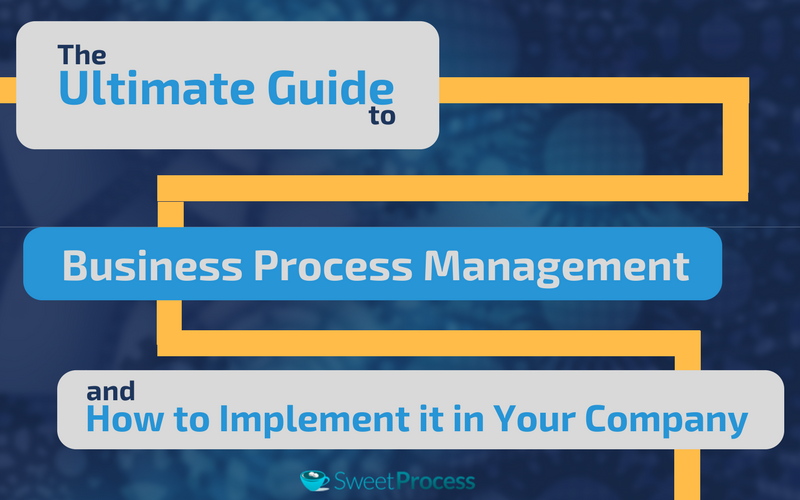 If you’ve read up to this point, then you already know that business process management can help your company achieve consistent business successes. To see this result in your company, you have to take practical steps to implement BPM throughout the lifecycle. Because there is no substitute to BPM for efficient value creation and effective company growth!